Terry Beech is an accomplished and experienced entrepreneur, educator, and advocate for access to education and the expansion of entrepreneurship. Mr. Beech entered public service 15 years ago when he was elected as a city councillor in Nanaimo. 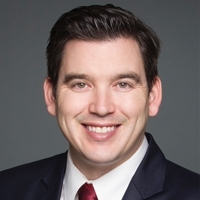 He was named one of Maclean’s Top 30 Under 30 in 2004, one of Business in Vancouver’s Top 40 Under 40 in 2013, and was also selected as an Action Canada Fellow. An Adjunct Professor at Simon Fraser University and the University of British Columbia, Mr. Beech was the author of “The In-Credibility Factor,” which highlights his desire for Canada to become a global leader in innovation and entrepreneurship. He founded and was both CEO and Chairman of HiretheWorld.com, and is a co-founder of Twinbro, a non-profit organization that has helped over 25,000 students to obtain millions of dollars in scholarships and financial aid. He is a past board member of Lift Philanthropy and worked with entrepreneurs to launch and grow businesses at Beech Partners. While serving as a city councillor, Mr. Beech began his studies in Public Administration at Capilano University, who named him as one of the school’s “Alumni to Watch.” He holds a bachelor’s degree with a joint major in Business and Economics from Simon Fraser University, as well as a Masters of Business Administration from the University of Oxford. Mr. Beech has served as a Parliamentary Secretary since 2015, and is currently the Parliamentary Secretary to the Minister of Transport.